The program begins with an introduction to mantees. 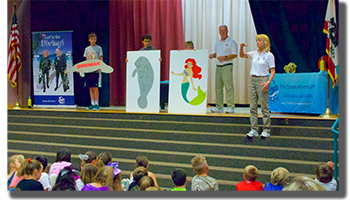 Students are chosen from the audience to demonstrate how manatees are adapted to their environment. 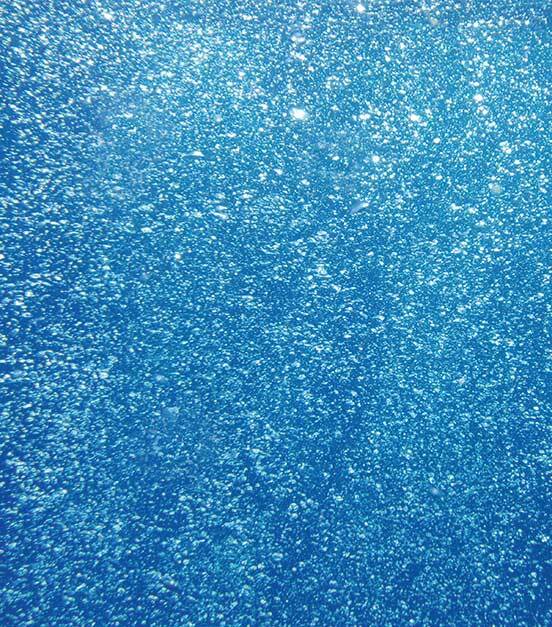 The differences between fish, whales and manatees are explained. With a replica manatee skull your students learn how the unique teeth and jaws of a manatee are ideally suited for what manatees like to eat. The mermaid myths from manatee sightings by sailors are also demonstrated. After the demonstrations, undersea explorers, Wayne and Karen Brown, take your students on an exciting adventure, via a fascinating high-definition, digital multi-image presentation, in search of Florida manatees in their winter feeding grounds, the Crystal River National Wildllife Refuge! I n this multi-image presentation your students follow the Browns on their expedition kayaks as they go in search of Florida manatees. As they accompany Wayne and Karen on their expedition, your students see manatees asleep and at play. Join the fun as the manatees come to get their bellies scratched by Wayne and Karen. 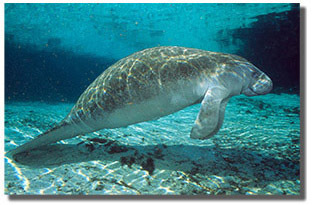 A highlight of the presentation is a swim with a mother manatee and her baby. 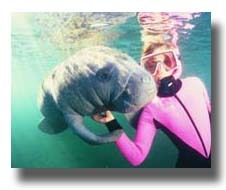 After playing with manatees follow Wayne and Karen as they assist in a manatee rescue and visit a manatee care center. After the multi-image presentation, your students come literally face-to-face with a full size, adult female manatee when they meet "Mindy" the 10-foot long inflatable Florida manatee. If time allows, at the end of the presentation a brief time is set aside for a questions and answers.